On April 24, 2013, just weeks before Edward Snowden went public with his leaks about mass surveillance by the National Security Agency, General Keith B. Alexander, then the head of the NSA, welcomed a group of Swedish intelligence officials to a secret three-day meeting at NSA headquarters in Fort Meade, Maryland. In the delegation were Ingvar Åkesson, the longtime director of Sweden’s National Defense Radio Establishment (known as the FRA, for Försvarets radioanstalt), a shadowy Swedish government intelligence agency, and five members of Åkesson’s senior staff. One of the aims of the meeting was to discuss Sweden’s growing importance to the NSA. Noting the Swedish spy agency’s unusual technical abilities and reputation for secrecy, NSA officials also viewed it as an ideal collaborator on its hacking and cyberwarfare project, called Quantum. One of the Quantum programs was an ambitious operation called WINTERLIGHT, which aimed at secretly hacking into high-value foreign computers and computer networks to obtain not only communications data but also any information stored on the hard drives or servers in question. Possible targets might be the administrators of foreign computer networks, government ministries, oil, defense, and other major corporations, as well as suspected terrorist groups or other designated individuals. Similar Quantum operations have targeted OPEC headquarters in Vienna, as well as Belgacom, a Belgian telecom company whose clients include the European Commission and the European Parliament. [map] out the digital footprints of chosen workers, identifying the IP [internet protocol] addresses of work and personal computers as well as Skype, Gmail and social networking accounts such as Facebook and LinkedIn. Then they set up rogue pages, hosted on FoxAcid servers, to impersonate, for example, an employee’s legitimate LinkedIn profile page. Since the extraordinary revelations that the Russian government sought to influence the 2016 US presidential election with information hacked from the computers of the Democratic National Committee and top Democratic officials, cybersecurity has become an urgent national priority. As US officials point out, the DNC hacking is only the latest in an accelerating series of Russia-linked cyberattacks aimed at political and other institutions in the West, including the Estonian government and media in 2007, the German Bundestag in 2015, Ukraine’s power grid in 2015, and the Swedish media in March 2016. Far less noted, however, has been the extent to which the US itself has coordinated with Sweden and other allies to develop hacking and surveillance tools that are far more advanced than the e-mail “phishing” strategies used in the recent Russian attacks. A major target of this technology is Russia itself. In early June 2013, less than six weeks after the Swedish delegation visited Fort Meade, the first reports on NSA spying based on the Edward Snowden leaks were published in The Guardian and The Washington Post. Over the following weeks and months, Snowden’s revelations about the NSA’s global surveillance efforts, and in particular its bulk data collection program, called PRISM, set off a protracted debate in the United States and ultimately prompted Congress to implement new restrictions on the NSA in 2015. Similar scrutiny was brought to bear on Britain’s GCHQ and its own program called TEMPORA, which aimed to tap directly into transatlantic fiber optic cables to intercept what The Guardian described as “vast quantities of global email messages, Facebook posts, internet histories and calls,” which it was sharing with the NSA. But the controversy mostly ended there. In the account that emerged in the British and American press, the NSA and GCHQ programs were generally portrayed as dangerous aberrations—cases of vast intelligence overreach by the two most powerful governments in the Western alliance. To the extent that continental European governments were mentioned, it was as victims of British and American spying: the targets of one or the other had included France’s presidential palace and, most notoriously, the cell phone of German Chancellor Angela Merkel. But what if some European governments were themselves pursuing bulk data collection on private citizens, using the exact same methods—and perhaps with even less oversight? Ingvar Åkesson, director of Sweden’s National Defense Radio Establishment (FRA) from 2003 to 2013. In April 2013, he participated in a secret three-day meeting with then NSA Director Keith Alexander in Fort Meade, Maryland, to discuss Sweden’s growing importance to the NSA. Swedish officials have not made any public statements about the WINTERLIGHT hacking program, but in July 2013, when Germany and France pressed the EU to hold talks with US officials to learn more about NSA spying in Europe, Sweden joined the UK in vetoing the move, claiming that the EU had no authority to discuss matters of national security and intelligence. In fact, Sweden has been at the vanguard of a rapid expansion of state surveillance across northern Europe. Since Snowden’s testimony, Europe has experienced multiple terrorist attacks, the recruitment of thousands of its citizens as foreign fighters in Syria, and a broadening backlash against immigrants and asylum seekers. In recent months, countries ranging from France and Germany to the Netherlands, Austria, Denmark, Finland, and Norway have considered or passed legislation aimed at enabling greater monitoring of their populations. On November 17, the British Parliament passed the Investigatory Powers Act, making legal a wide variety of hacking and spying activities by the UK government; The Guardian has described it as mandating “the most sweeping surveillance powers in the western world.” And with the incoming administration of Donald Trump talking about a large-scale expansion of national security programs in the United States, including a possible return to bulk phone data collection by the NSA—allegedly abandoned in the NSA reform law of 2015—the advanced Western democracies may be entering a new age of secret government snooping. In many respects, Sweden seems an unlikely country to lead this charge. Widely considered a model social democracy, the Swedish state is known for its advocacy of human rights, its broad protections of social freedoms, its government by consensus, and its expansive welfare state. In contrast to the United States and the UK, national security has never been an overriding concern: Sweden has followed a policy of official neutrality for more than two hundred years, it does not belong to NATO, and it has had only a marginal part in the “war on terror.” For much of the past decade, the Swedish government has also been a leading promoter of Internet freedom in the developing world, which it argues is a core element of democracy. With the rise of the Internet, however, the FRA—a spy agency devoted to radio, radar, and other “signals intelligence”—was in danger of obsolescence. 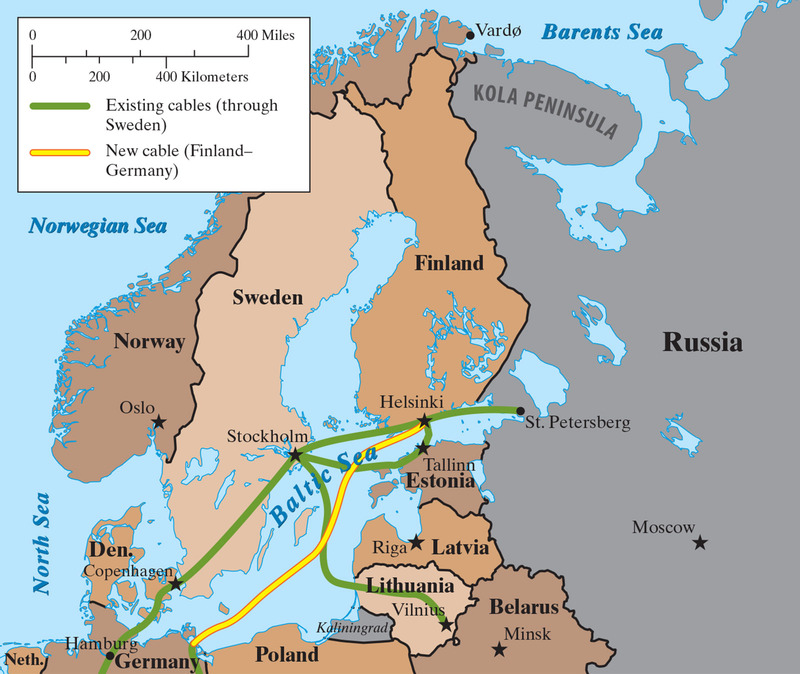 In the early 2000s, it began developing technology to tap into the undersea fiber optic cables on which nearly all intercontinental e-mails, phone calls, and other communications now travel, and in 2007 and 2008 the Swedish government, then led by the center-right Moderate Party, proposed the law giving the FRA broad access to cable traffic. The spy agency would also be able to store the metadata it extracted—reportedly on a huge database called Titan—for a year. At the time, there were public protests on the steps of parliament and groups like the US-based Electronic Frontier Foundation suggested that such far-reaching surveillance powers would be unprecedented. But in June 2008, after the government made some concessions, including the establishment of a secret oversight court, the law narrowly passed and the debate largely ended. the message was that it was well regulated and that only small amounts of data would be stored. But when I study the law and read the reports of the Swedish Data Inspection Board, the opposite picture emerges: the surveillance and storage of data is massive, especially when it comes to metadata. Nor was Sweden the only Scandinavian country to have embraced mass surveillance in the years before the Snowden revelations. Several NSA documents also mention the Norwegian Intelligence Service (NIS), and in December 2013, the Norwegian newspaper Dagbladet, working with the American journalist Glenn Greenwald, reported that Norway was providing the NSA with tens of millions of communications every month. Drawing on NSA documents and sources in Norway, the newspaper revealed that the NIS was targeting Russia in particular, “conducting surveillance against politicians” as well as Russian military and energy targets. It also noted that, with NSA help, the NIS was acquiring a hundred-million-dollar “Windsor Blue derivative supercomputer,” called STEELWINTER, to analyze encrypted surveillance data, and that the nis was working with the NSA’s cryptanalysis division to do so. Like Sweden, Norway is often viewed as a successful social democracy with a long record of advocacy for human rights. Norway in particular is known for its robust protections of free speech and its tradition of government transparency. Like Sweden, it has long ranked near the top among Western nations in measures of citizens’ trust in government institutions. And while Norway is a member of NATO, it too has stayed mostly on the periphery of the war on terror. Yet Norwegians have been largely unperturbed by revelations about their government’s secret collaboration with the NSA. After Dagbladet’s report on Norway’s bulk surveillance program, there was a brief controversy in the press. But the head of Norwegian intelligence asserted that the data Norway was collecting was from foreign rather than domestic communications and the controversy quickly ended. In Oslo, Karsten Friis, a senior adviser at the Norwegian Institute of International Affairs, told me that many Norwegians are proud that their country has become so important in American intelligence efforts. “There was the sense that we have this capacity and we’re not afraid of talking about it,” Friis said. In an article in Dagbladet, Greenwald disputed the Norwegian spy chief’s claim, arguing that NSA documents show that the data likely includes communications by Norwegians themselves. By contrast, Norwegians are uneasy about spying by the FRA, because about 80 percent of Norwegian Internet traffic—even domestic communications from one Norwegian to another—travels through Sweden. Partly as a result, the Norwegian parliament has begun debate on a so-called Digital Border Defenses bill, which would, in effect, give Norwegian intelligence similar access to international fiber optic cables as the FRA has. Although Sweden is a liberal democracy and China is an authoritarian one-party state, both states have advanced cyber-surveillance systems and recently for the first time acknowledged offensive cyber-warfare capabilities. Eriksson and Lagerkvist find it “somewhat puzzling” that mass data collection and communications monitoring have not become a major issue in election campaigns in Western countries—despite, they say, “legal and moral problems related to citizens’ integrity and privacy, and the non-transparent nature of government surveillance.” Such programs have often put Western leaders in a contradictory spot. One of the most outspoken advocates of Internet freedom, for example, is former Swedish foreign minister Carl Bildt. But Bildt is also a leading defender of Sweden’s 2008 surveillance law, which his government pushed through. When Bildt was asked at a forum on Internet freedom in 2013 how he reconciled these two views, he explained that Sweden was doing surveillance for a good purpose. “There is a difference between good states and somewhat less good states,” he said. In fact, the very qualities that have made Sweden and Norway successful models of advanced democracy may also have made their populations more susceptible to government spying. In Norway, the government committee that put forward the mass surveillance legislation now before parliament has argued that such measures “can be justified as necessary in a democratic society.” And as Swedish and Norwegian scholars point out, Scandinavian citizens are inclined to assume that if the government says it needs certain powers, then it probably does. While continuing to erode our privacy, it is doubtful how much these steps would enhance national security. Chris Soghoian, a privacy and cybersecurity expert for the ACLU, told me, for all the billions of dollars the NSA and its allies have invested in “offensive” cyber technology, the rather crude Russian attacks on the DNC showed the extent to which we have failed to implement basic precautions against cyberattacks at home. Among the many paradoxes of the recent US presidential election, one must surely be that a wave of anti-establishment, populist anger has brought to power a government that stands poised to embark on what could be the greatest expansion of secret state surveillance since the September 11 attacks. If it does so, it may find itself in concert with some of the most open and advanced democracies in Europe.